Dear reader we know concrete need cover to avoid exposure of its reinforcements. The purposes are corrosion control, fire protection and of manifold. Dear reader we will learn here about concrete cover for foundation element according to international building code (2009). 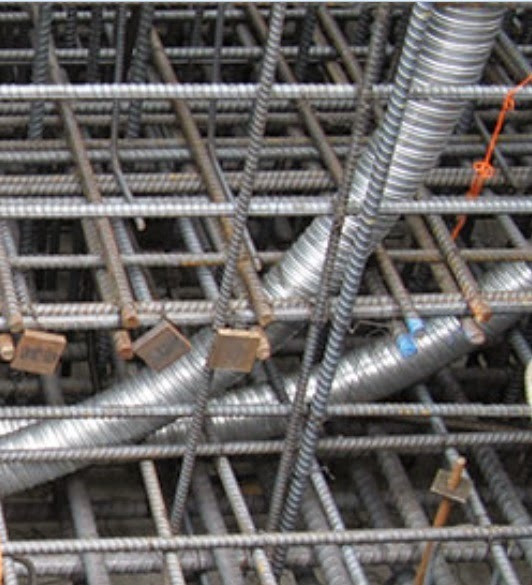 When longitudinal reinforcing bars have spacing less than 38 mm (1.5 inches), they should be considered as bundled bars. 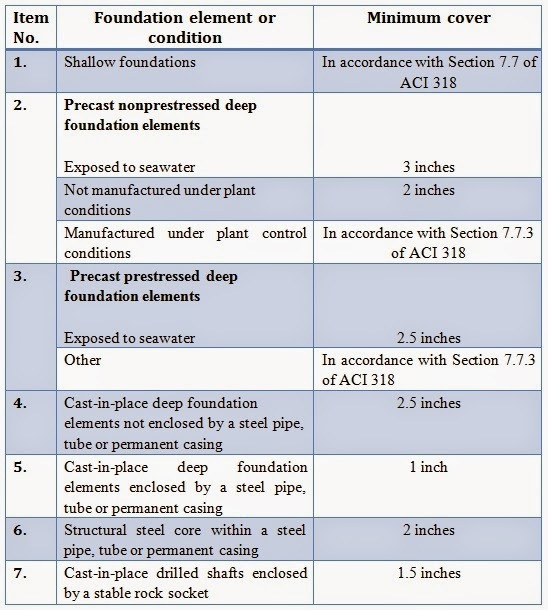 The concrete cover should have specification provided in ACI 318 (Section 77.4). Dear reader the spacing we are talking about are obviously clear distance. The concrete cover stated above should be measured from outermost point in surface of reinforcing steel to concrete surface. Concrete is sometimes placed in permanent/ temporary casing or in a mandrel. In measuring concrete cover inside surface of casing/mandrel is considered as concrete surface.